Do you have 2 hours to invest in your current or future relationship? 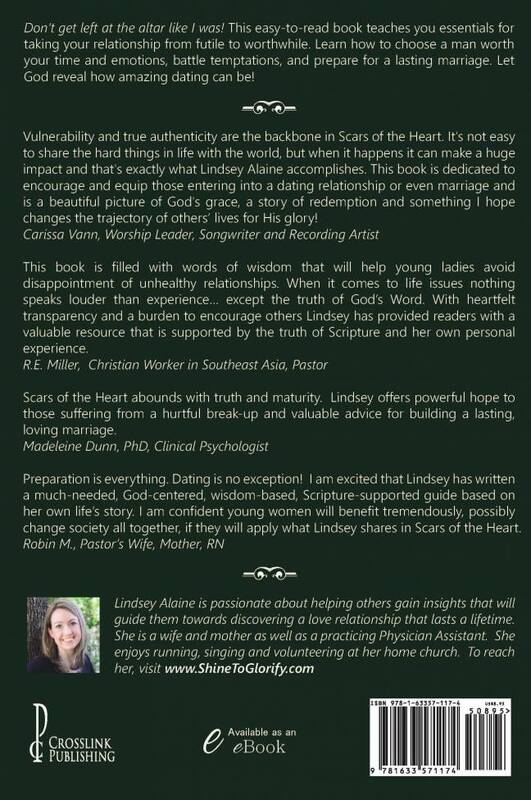 Scars of the Heart was written to bring clarity to the confusing world of Christian dating for young women. This valuable handbook is perfect for the busy student or hard-working graduate who has never dated, is currently in a relationship with (or without) potential for marriage, or has just gone through a devastating break-up. This is the book every parent wants their daughter to read. It addresses important issues that are rarely talked about while focusing on real-world circumstances that get couples in trouble over and over again. 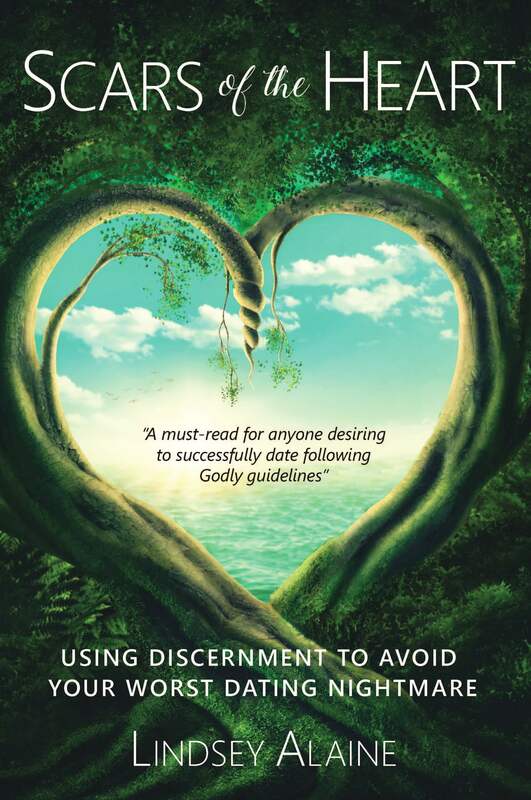 Learn how to uphold Biblical values while setting yourself up for a lasting marriage. -Includes a bonus chapter about life with Mother-in-laws!